The task of extending the healthy lifespan for the population is urgent for the well-being of the society. Due to the fast population aging in the developed countries, the prevalence of chronic non-communicable diseases and disabilities – such as cancer, ischemic heart disease, stroke, type 2 diabetes, Alzheimer’s disease, etc. – rises steeply.1 Thus, while 66% of deaths in the world occur from chronic age-related diseases, in the developed countries, this proportion reaches 90%, dramatically elevating the costs of healthcare and human suffering.2 Hence, it can be stated that the task of extending the healthy lifespan for the population is one of the most important healthcare, economic and humanitarian tasks. Yet the pathway toward human healthy lifespan extension remains unclear and requires thorough elaboration, concerning many scientific problems that need to be clarified and technologies that need to be developed. There is a tremendous variety of studies and approaches toward healthy lifespan extension, and roadmaps indicating priority directions.6 Perhaps the most critical drawback in this variety is the lack of integration of the different approaches. The existing approaches often present lists of potential research directions, rather than coherent and coordinated entities. Hence the integration of the various approaches, shortening the pathways between the various disciplines, could be highly valuable for the fundamental and comprehensive understanding of aging and longevity, as well as for the further translation of this knowledge to practical integrative medical applications. Several important “gaps” may yet need to be “bridged” in the current variety of approaches to healthy lifespan extension. One of the main disparities in the current variety of approaches to healthy lifespan extension seems to be the perceived opposition between “external” or “environmental” factors for healthy lifespan extension, and “internal” or “genetically determined” factors. On the one hand, it is often assumed that environmental and lifestyle factors alone are sufficient to affect healthy lifespan, disregarding genetic composition, the inner structure and function of the body. On the other, there is a “genetic” or “biological deterministic” approach that assumes the strict genetic determination of the lifespan from birth that virtually cannot be influenced by environmental factors. There is a clear need to bridge this gap through the study of physiological, in particular metabolic, neuro-hormonal and epigenetic influences on the lifespan, which recognizes the vital regulatory role of the environment on gene expression and internal physiological function. There has been an increasing discussion in the biotechnological and biomedical community about the need for “multi-omics” analysis.8 This implies a combined analysis of information about the human organism, aimed to diagnose, and if possible predict its condition, and analyze, and if possible predict the efficacy of specific types of treatment. The aim is to collect the information in a systemic way from different levels of biological organization (or “omes”), including: genome – genetic information, as presented by DNA sequence; epigenome – the epigenetic markers of gene regulation (such as methylation, phosphorylation or acetylation markers); transcriptome – the collection of messenger RNA participating in the transcription of genetic information into proteins; proteome – information on the proteins present in the organism, or in specific cells or tissues; metabolome – information on products of the organism’s metabolism (metabolites); physiome – information on the physiological, such as energetic or respiratory parameters of the organism, and other types of biomarkers. It is hoped that the information from the various levels (“omes”) is correlated with each other and with the clinical history (anamnesis) and therapeutic regimen to provide systemic, precise, predictive, preventive, personalized and participatory diagnosis and therapy. On the other hand, the most common concept in geriatric evaluation and therapy is old-age “frailty” – a “geriatric syndrome” used to assess the health state of the elderly, alongside age-related diseases and other geriatric “syndromes” such as delirium, incontinence and falls. In the basic sense, frailty is not an evaluation of a defined present state, but an evaluation of a risk of future adverse events. Thus, according to the classical definition, “Frail individuals are perceived to constitute those older adults at highest risk for a number of adverse health outcomes, including dependency, institutionalization, falls, injuries, acute illness, hospitalization, slow or blocked recovery from illness and mortality.”9 It is also admitted that “although a clinical ‘sense’ of frailty exists, there is still no explicitly agreed-on, standard clinical definition of frailty or of failure to thrive that would assist identification of this high-risk subset of the population, prior to the onset of these adverse outcomes.”9 Hence, methods of predictive risk analysis can be most appropriate for the clinical definition and evaluation of old-age frailty. A stronger alliance between these fields may be desirable. There may accrue a great therapeutic benefit from introducing “multi-omics” type of analysis, its systemic, predictive and personalized philosophy, for old-age frailty evaluation and treatment. And conversely, the researchers and developers of multi-omics biomarkers may need to be more strongly involved in the problems of aging, to realize the critical need to address fundamental degenerative aging processes in order to alleviate virtually all health conditions, including those they are currently working on. Such an alliance is yet a rather rare occasion. Currently, functional-behavioral assessments dominate the evaluations of frailty.10 For example, in the widely used “Study of Osteoporotic Fractures” (SOF) frailty index, there are 3 main diagnostic parameters: 1) “Weight loss,” 2) “Inability to rise from a chair,” and 3) “Poor energy” as identified by an answer “yes” or “no” to the question “Do you feel full of energy?” on the Geriatric Depression Scale.11 And in the even more widely used “Cardiovascular Health Study” (CHS) frailty index, the 5 parameters are: 1) “Shrinking” as shown by an unintentional weight loss, 2) “Weakness” as shown by a maximal grip strength, 3) “Poor energy” as determined by an answer to the question “Do you feel full of energy?” 4) “Slowness” as indicated by an average walk speed, and 5) “Low physical activity level” as identified by a Physical Activity Scale for the Elderly (PASE) score in the lowest quintile.12 It may be seen that biological markers of aging are assigned little significance in such scores. To improve the frailty evaluation, to provide a reliable science-based proxy or indication for the aging process, it appears necessary to include more parameters measuring this process at its fundamental biological level. For example, the organism’s energy level can be objectively measured by such means as spirometry, oximetry, hemodynamic, electrochemical and spectroscopic energy metabolite measurements, etc., thus providing improved indication for therapy.13 The energy metabolism measurements may supplement molecular-biological measurements that are commonly employed in the research of biomarkers of aging (e.g. age-related changes in telomere length, advanced glycation endproducts – AGE, DNA repair capacity, aging-associated gene expression and epigenetic markers, stem cell populations and others).14 The more frequent and routine inclusion of old-age frailty evaluation into medical research and practice, and the greater addition of biological indicators to the common functional frailty assessments, in correlation with each other and reinforcing each other, may provide advanced diagnostic and therapeutic capabilities. Despite the wide variety of approaches, there can be outlined a few basic generic fields in the study of longevity. One is the study of “aging biomarkers” and “longevity factors” (both external and internal). Large databases are being developed to collect various physiological, environmental, lifestyle, genetic and other factors associated with extended healthy lifespan as opposed to debilitating aging.14,15 On the other hand, there is the study of experimental “anti-aging” and “lifespan extension,” mainly associated with cell-based regenerative medicine and pharmacological geroprotective substances, that work to experimentally restore the physiological and functional state of the aging organism.16 Yet, there is often a deficit of interrelation between these approaches. The research of “biomarkers of aging” and “longevity factors” is often descriptive, with uncertain implications for clinical practice. The collected factors form large masses of data, yet it is often unclear how the different pieces of data are related to each other or to clinical outcomes, what factors or combinations of factors have the most weight in determining the healthy lifespan, or whether they can be therapeutically influenced either separately or in combinations to improve clinical outcomes. On the other hand, regenerative and geroprotective medicine approaches are often strongly empirical and “prescriptive,” testing for a variety of potential interventions, without a former comprehensive factor analysis, with the aim to empirically establish potentially effective treatments. Often, the longevity factor analysis and experimental life extension research proceed as if they occupy separate “neighboring domains.” That is to say, a set of biomarkers and other diagnostic parameters of aging and longevity are being developed in one domain, and life-extending interventions in another. And then (in a part of the cases) an attempt is made to test the effects of the latter interventions domain on the former markers domain, rather than deriving the interventions directly from the markers. It may be possible to bridge this gap. It may be possible to conduct a thorough scan of “longevity factors” on a large population, including physiological, genetic, as well as environmental and epigenetic factors contributing to healthy lifespan. It will then be necessary to select the most informative factors contributing to healthy lifespan, for example, using advanced statistical, ontological and information-theoretical methodologies.17 These methodologies may increase the interoperability between model systems, and allow a precise and weighted estimate of the influence of various risk factors and therapeutic interventions, and their combinations, on the healthspan and age-related disease patterns. The aging and longevity factor analysis should then not remain in a purely descriptive, analytical phase, but should move immediately and simultaneously to clinically relevant experiments on cell, tissue and animal models. For example, the special genetic and epigenetic factors, including gene candidates and epigenetic loci found to be associated with extended healthy lifespan, can form the initial targets for testing and manipulation in experimental models. A hallmark of epigenetic regulation of gene expression is its reversibility by environmental factors. Epigenetic markers (such as methylation) have been strongly associated with the aging process, and diverse pharmacological and cell-therapeutic interventions have been indicated to affect the epigenetic status.18 Moreover, various gene candidates have been associated with extended healthy longevity. Even though it may be practically difficult to directly modify those genes, their expression and activity can nonetheless be stimulated or mimicked via pharmacological and cell-based interventions.19 In case no known mimetics or stimulators of longevity factors exist, those can be designed using methods of synthetic biology or nanomedicine.20 Hence, by providing the input for therapeutic interventions from population-based aging and longevity factor analysis, it may be possible to provide a broad evidential database for further experimentation in regenerative and geroprotective medicine, as well as shorten the pathway between longevity factor analysis and experimentation. The results of experiments may in turn immediately feed back to refine data collection and analysis, accelerating the process of discovery. Yet another source of discrepancy among approaches to healthy lifespan extension is the deficit of inter-operability between various models, which may include population, individual, human, animal, culture, cell or molecular models. Often, studies are conducted at different levels of organization, with a disregard of other levels. There is an apparent need for an integrative approach, spanning across the relevant scales, using a wide array of physiological, environmental, genetic and epigenetic parameters. The human being as a whole should be the focus, with a special attention given to personalized factors characteristic of individual subjects, and selecting the most informative factors. Other models and levels could be studied as supplementary. Thus, an attempt at reconstitution of beneficial human characteristics could be made, with experimental testing on the level of human and animal cells and cell cultures and animal organism models. The latter tests could in turn help provide insights for further human studies. The research of aging and lifespan and healthspan extension is not just a theoretical scientific or purely biological subject, but in many ways a technological subject, where the capabilities of biological research and manipulation are largely determined by technological capabilities. Virtually all technological fields can be ultimately enlisted for solving the problem of degenerative aging and for extending healthy lifespan. These would include such technological areas as novel measurement modalities (including comprehensive physiological vitality measurements, as well as a vast array of cell-based and molecular measurements), synthetic biology, nanotechnology and micro-fabrication, as well as advanced computational, modeling and visualization capabilities. “Technological convergence” and “cross-fertilization” may be key concepts for tackling the problem of aging. But the solutions should not remain at the stage of fundamental research in the lab. Another key concept may be “clinical translation” understood as the process of translating fundamental scientific research to its application in clinical practice, creating and utilizing actual medical technologies. The translation process includes all the stages of research and development: from studies on cells and tissues, through animal studies and human trials, up to marketing, production and distribution. The future translation into clinical practice should always be kept in mind as a primary objective. The studies of aging are not just academically intriguing (and they are), but also have a clear purpose – to improve health for the elderly, eventually for all of us. The translation from fundamental research to clinical practice is often difficult, and not only due to scientific and technological hurdles, but often also because of societal constraints, such as lack of social interest and investment or inefficient regulation and distribution. Careful thought should always be given for the facilitation and optimization of the translation process to make aging-ameliorating, life and health-extending therapies and technologies available to all of us. Within the general need for stronger social involvement, there is an urgent need to educate more specialists who will be able to contribute to the various areas of aging and healthspan extension research. There is an even prior need to educate the broader student body and wider public on the importance of such research to prepare the ground for further involvement. Thanks to such broad education, many more new promising studies may spring up. The increased knowledge of the field may increase the demand for therapies, which may in turn increase the offer. Even when the therapies are available, it should be the general public who should use them, hence their willingness to embark on and adhere to a preventive anti-aging and healthspan-improving regimen, their ability to intelligently choose and apply effective and safe therapy, will be vital for its successful application. Therefore comprehensive and wide-ranging “patient and consumer education,” and moreover “citizen scientist” and “do-it-yourself maker” education in the field of aging and healthspan extension will be necessary. Such education is currently very limited. In practical terms, globally there are very few centers or dedicated structures to promote and coordinate knowledge exchange and dissemination on biology of aging and healthy lifespan extension. There are even few courses in this field in university curricula around the world. There is a need for more courses and training materials on the subject, in order to make the narrative on biology of aging and healthy lifespan extension an integral part of academic curriculum and public discourse. One of the major factors hindering the discussion of aging amelioration, lifespan and healthspan extension research, development and application may be the basic deficit of definitions. What is it exactly that we wish to ameliorate, and what is it exactly that we wish to extend? Such agreed definitions appear to be among the necessary conditions for the communication, dissemination and advancement of the field. But such agreed definitions are currently lacking. Three is a growing realization that in order to combat the rising aging-related ill health and improve the healthy lifespan – the research, development and distribution of anti-aging and healthspan-improving therapies need to be accelerated.24 It was suggested that one of the accelerating factors could be the general recognition of the degenerative aging process itself as a medical problem to be addressed.25 It has been assumed that such a recognition may accelerate research, development and distribution in several aspects: 1) The general public would be encouraged to actively demand and intelligently apply aging-ameliorating, preventive therapies; 2) The pharmaceutical and medical technology industry would be encouraged to develop and bring effective aging-ameliorating therapies and technologies to the market; 3) Health insurance, life insurance and healthcare systems would obtain a new area for reimbursement practices, which would encourage them and their subjects to promote healthy longevity; 4) Regulators and policy makers would be encouraged to prioritize and increase investments of public funds into aging-related research and development; 5) Scientists and students would be encouraged to tackle a scientifically exciting and practically vital problem of aging. Here we would leave aside the question whether this medical condition should be called a “disease,” a “syndrome,” a “risk factor,” an “underlying cause” or some other trope. Here “the aging process as a medical condition” just means a processes that can be materially intervened into, improved (treated) and even eliminated (cured) by medical means. Yet, in order for degenerative aging process to be recognized as such a diagnosable and treatable medical condition and therefore an indication for research, development and treatment, a necessary condition appears to be the development of evidence-based diagnostic criteria and definitions for degenerative aging. So far, there are still no such commonly accepted or formal criteria and definitions. Yet without such scientifically grounded and clinically applicable criteria, the discussions about “ameliorating” or even “curing” degenerative aging processes, will be mere slogans. Indeed, how can we “treat” or “cure” something that we cannot even diagnose? It may even be found that such criteria are explicitly or implicitly required by several major international and national regulatory and policy frameworks, such as the International Classification of Diseases (ICD), the WHO Global Strategy and Action Plan on Ageing and Health (GSAP), the European Medicines Agency (EMA), the US Food and Drug Administration (FDA), and others.23 Such frameworks are thirsting for evidence-based criteria for the effectiveness of interventions for “healthy aging.” Nonetheless, nobody has yet done the necessary work of devising such comprehensive evidential criteria. It may seem that the problem has not been solved just for the lack of enough trying. But it must be admitted that the problem is not at all easy even to dare to take on. Many formidable methodological challenges may arise in attempting to develop commonly acceptable diagnostic definitions and criteria for degenerative aging. But try we must! A major challenge is related even to the semantic understanding of the term “degenerative aging.” The term “degenerative” may imply both the present state of degeneration and the process leading to the state of degeneration. This distinction may have major implications for intervention, respectively implying a curative approach to the already manifest state of degeneration (a late stage intervention) as opposed to a preventive approach to block a process leading to degeneration (an early stage intervention). It may be particularly helpful to explore “degenerative aging” in the latter sense, as a process leading to degeneration that can be prevented. Yet, many questions remain with such a definition. Obviously, not every time-related change leads to degeneration and disease, and some aging-related changes may be beneficial for the person (e.g. the proverbial “wisdom of age”26). Obviously also, many changes leading to age-related degeneration begin at conception, and may be necessary concomitants of the processes of growth and development. Then for which processes and at which stages is intervention warranted? In other words, which aging processes can be considered truly “degenerative” (leading to degeneration) that would require preventive intervention? Several sets of such candidate processes have been proposed,6 yet there is still little empirical evidence that intervention into them will have clinical benefits. The potential interrelation and regulation of these various processes are also uncertain. In this regard, a practical worry is that under the title of “prevention” and “early intervention” – drugs and other treatments will be sold to young and relatively healthy individuals without a real need and without proven benefits in actually preventing degenerative states and/or extending healthy lifespan. A more thorough, quantitative and formal understanding of old-age degeneration (frailty) as a physiological state is required as well. Should it be measured as a lack of function and adaptation to the environment, an impairment of homeostatic or homeodynamic stability?27 Should it be presented as an index or as physiological age? Each of these options would raise a host of questions of its own, whose mere mentioning would go far beyond the scope of this work. To provide evidence-based answers to those questions, vast empirical and theoretical research yet appears to be needed to establish diverse age-related changes as predictors of adverse age-related outcomes (such as multi-morbidity and mortality) as well as evaluate the effects of various preventive and curative treatments on those outcomes. Based on such data, better formal, clinically applicable models and criteria of degenerative aging as a process and as a state can be developed. It may be stated that the development of clinical definitions and criteria for degenerative aging, and the corresponding definitions and criteria for the effectiveness of anti-aging and healthspan-extending therapies would be the penultimate “gap” in the common scientific understanding of the problem that needs to be “bridged” before proceeding toward its practical solution. This would in fact mean bridging multiple “gaps” between multiple conceptions and approaches to the problem of aging amelioration and healthspan improvement, to achieve a good level of mutual understanding and agreement. With the current diversity of theories, approaches, models and prospective remedies, it may be yet a long road ahead before such a level of common understanding and agreement is reached. It may not be necessary that every researcher should accept a standard universal metrics and agree on most of the fundamental concepts and processes (as it has been accomplished in mathematics and physics), but at least some degree of commensurability for the field may be desirable. Such commensurability would not mean dictating the same approach to all, or even worse, prescribing the same measures and treatments for all, but rather providing a common language that would enrich general discourse and creativity in the field. The continuous active consultation and debate on these issues may be key to progress. The present work could not presume to even begin to provide any definitive answers for the above methodological problems. It does not provide any specific building blocks for the bridges between the various areas that may need to come into closer, more powerful synergistic contact. This work is only intended to attempt to emphasize some of those potential problems and stimulate their discussion (in addition to any discussions of these issues that may take place anywhere else). If it succeeds to enhance this discussion and improve this knowledge even slightly, then it has fulfilled its purpose. 1) Establishing basic terms and definitions. These may include the questions above. For example, should “degenerative aging” be understood as a process or as a state? Or is “healthy aging” a helpful term for developing clinical measurements of aging, considering that most aging processes increase morbidity? Should we instead speak in terms of “healthy longevity” as opposed to “degenerative aging”? 1) Pluralism and rigor. Particular batteries of assays and interventions are usually related (and potentially biased) to particular theories, research agendas, academic schools and commercial interests. There is an apparent need to allow pluralism of investigation, discovery and application, while maintaining standards of the scientific method. Consensus standards often emerge as a result of data-sharing,37 which may become a practical challenge of its own. The issue of “affordability” actually involves most of the problems and “gaps” between “science and technology” (the problem of translating fundamental research to practical affordable therapies), between “science, technology and society” (making the therapies widely available, and not only “for the rich and powerful”), as well as between “research and education” (making the knowledge of the field more accessible and wider spread, to catalyze even more knowledge generation). The main overarching question to ask in this regard is: “How can we make the best, most effective therapies available (affordable) as fast as possible to as many as possible?” The details are to be established in a broad academic, public and political discussion. All these issues must become a subject of massive and pluralistic consultation, involving scientists, policy makers and other stakeholders. Thanks to such a consultation it may be possible to develop agreeable scientific clinical criteria for degenerative aging that could improve diagnostic capabilities and allow better informed clinical decisions, as well as stimulate further research and development of effective, evidence-based anti-aging and healthspan-extending therapies, treating the underlying processes of aging-related diseases rather than their particular symptoms. In such a broad consultation, various diagnostic and therapeutic approaches to aging amelioration and healthy lifespan extension may be brought together, their relative merits and drawbacks may be compared, and points of their convergence may be clarified. Such a discussion may facilitate the creation of a comprehensive and actionable roadmap toward healthy lifespan extension. It is hoped that the present work will contribute to raising the demand to expand such discussion and research. Kunlin Jin, James W. Simpkins, Xunming Ji, Miriam Leis, Ilia Stambler, “The critical need to promote research of aging and aging-related diseases to improve health and longevity of the elderly population,” Aging and Disease, 6, 1-5, 2015, http://www.aginganddisease.org/EN/10.14336/AD.2014.1210. Rafael Lozano, Mohsen Naghavi, Kyle Foreman, Stephen Lim, Kenji Shibuya, Victor Aboyans, et al., “Global and regional mortality from 235 causes of death for 20 age groups in 1990 and 2010: a systematic analysis for the Global Burden of Disease Study 2010,” Lancet, 380, 2095-2128, 2012. Michael J. Rae, Robert N. Butler, Judith Campisi, Aubrey D.N.J. de Grey, Caleb E. Finch, Michael Gough, George M. Martin, Jan Vijg, Kevin M. Perrott, Barbara J. Logan, “The demographic and biomedical case for late-life interventions in aging,” Science Translational Medicine, 2, 40cm21, 2010, http://stm.sciencemag.org/content/2/40/40cm21.full. Alexander Vaiserman (Ed. ), Anti-aging Drugs: From Basic Research to Clinical Practice, Royal Society of Chemistry, London, 2017. Miguel A. Faria, “Longevity and compression of morbidity from a neuroscience perspective: Do we have a duty to die by a certain age?” Surgical Neurology International, 6, 49, 2015. SENS Research Foundation, “A Reimagined Research Strategy for Aging,” accessed June 2017, http://www.sens.org/research/introduction-to-sens-research/. Brian K. Kennedy, Shelley L. Berger, Anne Brunet, Judith Campisi, Ana Maria Cuervo, Elissa S. Epel, Claudio Franceschi, Gordon J. Lithgow, Richard I. Morimoto, Jeffrey E. Pessin, Thomas A. Rando, Arlan Richardson, Eric E. Schadt, Tony Wyss-Coray, Felipe Sierra, “Geroscience: linking aging to chronic disease,” Cell, 59(4), 709-713, 2014, http://www.cell.com/cell/fulltext/S0092-8674(14)01366-X. Carlos López-Otín, Maria A. Blasco, Linda Partridge, Manuel Serrano, Guido Kroemer, “The hallmarks of aging,” Cell, 153(6), 1194-1217, 2013, http://www.cell.com/cell/fulltext/S0092-8674(13)00645-4. Alejandro Ocampo, Pradeep Reddy, Paloma Martinez-Redondo, …, Juan Carlos Izpisua Belmonte, “In Vivo Amelioration of Age-Associated Hallmarks by Partial Reprogramming,” Cell, 167(7), 1719-1733.e12, 2016, http://www.cell.com/fulltext/S0092-8674(16)31664-6. Yehudit Hasin, Marcus Seldin, Aldons Lusis, “Multi-omics approaches to disease,” Genome Biology, 18, 83, 2017, https://genomebiology.biomedcentral.com/articles/10.1186/s13059-017-1215-1. Linda P. Fried, Jeremy Walston, “Frailty and failure to thrive,” in William R. Hazzard, John P. Blass, Walter H. Ettinger, Jeffrey B. Halter, Joseph G. Ouslander (Eds. ), Principles of Geriatric Medicine and Gerontology, Fourth Edition, McGraw Hill, New York, 1999, pp. 1387-1402. Frailty Net, Frailty toolkit, Diagnostic tools, http://www.frailty.net/frailty-toolkit/Diagnostic-tools/. Kristine E. Ensrud, Susan K. Ewing, Peggy M. Cawthon, Howard A. Fink, Brent C. Taylor, Jane A. Cauley, Thuy-Tien Dam, Lynn M. Marshall, Eric S. Orwoll, Steven R. Cummings, the Osteoporotic Fractures in Men Research Group, “A comparison of frailty indexes for the prediction of falls, disability, fractures, and mortality in older men,” Journal of the American Geriatrics Society, 57(3), 492-498, 2009. Linda P. Fried, Catherine M. Tangen, Jeremy Walston, Anne B. Newman, Calvin Hirsch, John Gottdiener, Teresa Seeman, Russell Tracy, Willem J. Kop, Gregory Burke, Mary Ann McBurnie, Cardiovascular Health Study Collaborative Research Group, “Frailty in older adults: evidence for a phenotype,” Journal of Gerontology: Medical Sciences, 56(3), M146–M156, 2001. Johannes H.G.M. van Beek, Thomas B.L. Kirkwood, James B. Bassingthwaighte, “Understanding the physiology of the ageing individual: computational modelling of changes in metabolism and endurance,” Interface Focus, 6(2), 20150079, 2016, http://rsfs.royalsocietypublishing.org/content/6/2/20150079. Nili Zarchin, Sigal Meilin, Joseph Rifkind, Avraham Mayevsky, “Effect of aging on brain energy-metabolism,” Comparative Biochemistry and Physiology Part A: Molecular & Integrative Physiology, 132(1), 117-120, 2002. Georg Fuellen, Paul Schofield, Thomas Flatt, Ralf-Joachim Schulz, Fritz Boege, Karin Kraft, Gerald Rimbach, Saleh Ibrahim, Alexander Tietz, Christian Schmidt, Rüdiger Köhling, Andreas Simm, “Living Long and Well: Prospects for a Personalized Approach to the Medicine of Ageing,” Gerontology, 62(4), 409-416, 2016. Gregory K. Farber, “Can data repositories help find effective treatments for complex diseases?” Progress in Neurobiology, 152, 200-212, 2017. Anthony Atala, “Extending life using tissue and organ replacement,” Current Aging Science, 1(2), 73-83, 2008. Keren Yizhak, Orshay Gabay, Haim Cohen, Eytan Ruppin, “Model-based identification of drug targets that revert disrupted metabolism and its application to ageing,” Nature Communications, 4, 2632, 2013, https://www.nature.com/articles/ncomms3632. Georg Fuellen, Melanie Boerries, Hauke Busch, Aubrey de Grey, Udo Hahn, Thomas Hiller, …, Daniel Wuttke, “In Silico Approaches and the Role of Ontologies in Aging Research,” Rejuvenation Research, 16(6), 540-546, 2013, http://online.liebertpub.com/doi/abs/10.1089/rej.2013.1517. Danny Ben-Avraham, Radhika H. Muzumdar, Gil Atzmon, “Epigenetic genome-wide association methylation in aging and longevity,” Epigenomics, 4(5), 503-509, 2012. Laurent Mouchiroud, Laurent Molin, Nicolas Dallière, Florence Solari, “Life span extension by resveratrol, rapamycin, and metformin: The promise of dietary restriction mimetics for an healthy aging,” Biofactors, 36(5), 377-382, 2010. Shawn M. Douglas, Ido Bachelet, George M. Church, “A Logic-Gated Nanorobot for Targeted Transport of Molecular Payloads,” Science, 335(6070), 831-834, February 17, 2012. David Blokh, Ilia Stambler, “The application of information theory for the research of aging and aging-related diseases,” Progress in Neurobiology, 157, 158-173, 2017, doi: http://dx.doi.org/10.1016/j.pneurobio.2016.03.005. 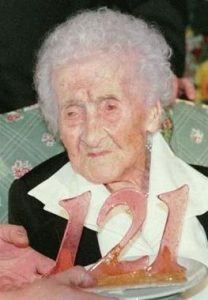 Ilia Stambler, “The pursuit of longevity – The bringer of peace to the Middle East,” Current Aging Science, 6, 25-31, 2014. Ilia Stambler, “Human life extension: opportunities, challenges, and implications for public health policy,” in Alexander Vaiserman (Ed. ), Anti-aging Drugs: From Basic Research to Clinical Practice, Royal Society of Chemistry, London, 2017, pp. 535-564. Dana P. Goldman, David M. Cutler, John W. Rowe, Pierre-Carl Michaud, Jeffrey Sullivan, Jay S. Olshansky, Desi Peneva, “Substantial health and economic returns from delayed aging may warrant a new focus for medical research,” Health Affairs, 32(10), 1698-1705, 2013, https://www.ncbi.nlm.nih.gov/pmc/articles/PMC3938188/. Ilia Stambler, “Has aging ever been considered healthy?” Frontiers in Genetics, 6, 202, 2015, http://journal.frontiersin.org/article/10.3389/fgene.2015.00202/full. Joshua K. Hartshorne, Laura T. Germine, “When does cognitive functioning peak? The asynchronous rise and fall of different cognitive abilities across the life span,” Psychological Science, 26(4), 433-443, 2015. Alexey Moskalev, Elizaveta Chernyagina, Anna Kudryavtseva, Mikhail Shaposhnikov, “Geroprotectors: a unified concept and screening approaches,” Aging and Disease, 8(3), 354-363, 2017, http://www.aginganddisease.org/EN/10.14336/AD.2016.1022. Jeremy Toyn, “What lessons can be learned from failed Alzheimer’s disease trials?” Expert Review of Clinical Pharmacology, 8(3), 267-269, 2015. Morrison D.H., Rahardja D., King E., Peng Y., Sarode V.R., “Tumour biomarker expression relative to age and molecular subtypes of invasive breast cancer,” British Journal of Cancer, 107, 382-387, 2012. David G. Le Couteur, Stephen J. Simpson, “Adaptive senectitude: the prolongevity effects of aging,” Journal of Gerontology: Biological Sciences, 66, 179-182, 2011, https://academic.oup.com/biomedgerontology/article/66A/2/179/594634/Adaptive-Senectitude-The-Prolongevity-Effects-of. David Blokh, Ilia Stambler, “Applying information theory analysis for the solution of biomedical data processing problems,” American Journal of Bioinformatics, 3(1), 17-29, 2015, http://thescipub.com/abstract/10.3844/ajbsp.2014.17.29. Alexander N. Khokhlov, “From Carrel to Hayflick and back or what we got from the 100 years of cytogerontological studies,” Biophysics, 55(5), 859-864, 2010. Peter Safar, “On the future of reanimatology,” Academic Emergency Medicine, 7(1), 75-89, 2000. John N. Kheir, Laurie A. Scharp, Mark A. Borden, …, Francis X. McGowan Jr., “Oxygen gas-filled microparticles provide intravenous oxygen delivery,” Science Translational Medicine, 4(140), 140ra88, 2012. Max Schaldach, Electrotherapy of the Heart: Technical Aspects in Cardiac Pacing, Springer-Verlag, Berlin, 2012. David Blokh, Ilia Stambler, “The use of information theory for the evaluation of biomarkers of aging and physiological age,” Mechanisms of Ageing and Development, 163, 23-29, 2017, doi: http://dx.doi.org/10.1016/j.mad.2017.01.003. Gregory K. Farber, “Can data repositories help find effective treatments for complex diseases?” Progress in Neurobiology, 152, 200-212, 2017, http://dx.doi.org/10.1016/j.pneurobio.2016.03.008. 38. Ilia Stambler, “Human life extension: opportunities, challenges, and implications for public health policy,” in Alexander Vaiserman (Ed. ), Anti-aging Drugs: From Basic Research to Clinical Practice, Royal Society of Chemistry, London, 2017, pp. 535-564.